Welcome to G week! 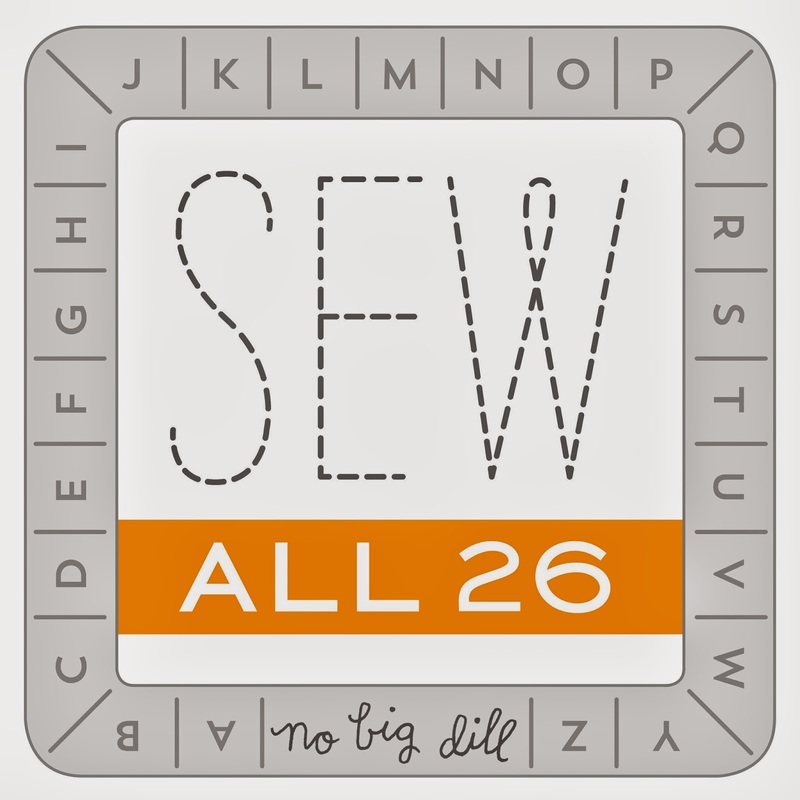 It is rather fortuitous how the letters of the week for Sew All 26 have lined up quite nicely with the challenges over on Project Sewn. And this week was such a fun one: Graphic Print! I usually start out with an idea of what I want and rarely does it ever happen that way. I wanted to create my own graphic design, but the image, or rather stamp, changed several times until I landed on the octopus. 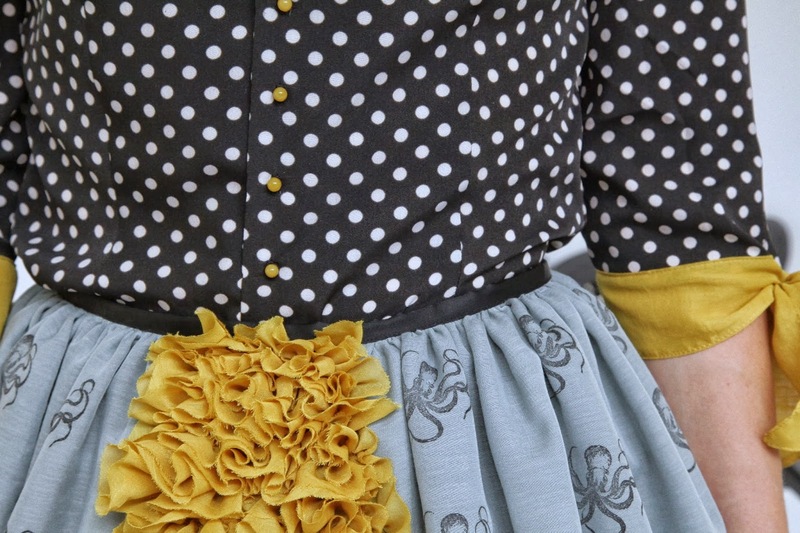 It gives more of a floral look, but on close inspection, it's a wild waving octopus! I have a tutorial here. It is so much fun to create your own pattern. Test it out on paper first to see if you like it, then move to a scrap piece of fabric to get a feel for how the fabric will take the ink. I've even made my own stamp before, a surprisingly easy thing to do, if you're unable to find what you're looking for at a craft store. The top is partially from a shirt-dress pattern with simple darts for shaping. 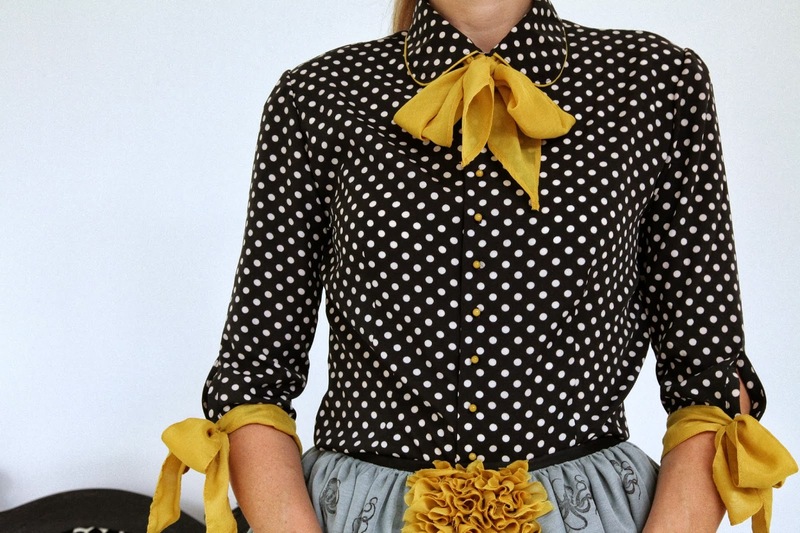 I added the baby-ist of piping to the modified rounded collar and the tiniest of buttons (12!) down the front placket. I shortened the sleeves and added a vent so I could add some...bows!! It's a similar technique as my Abbey Road Top here. 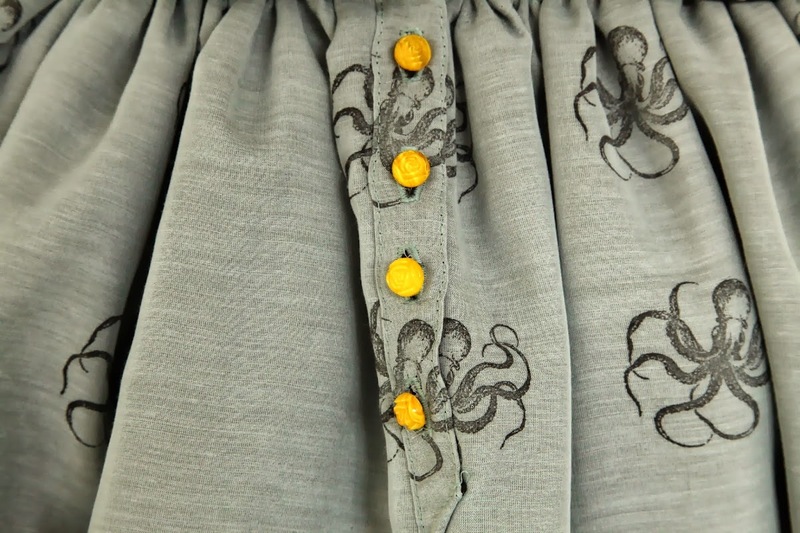 It worked out for the placket in the back of the skirt to get my octopi lined up because I cut out a strip of them for the front ruffled panel. And the ruffles?! If you have never used a ruffling foot, then you are missing out on a great adventure. Well, as far as sewing goes ;) I just ruffled strips of bias right down the center and then used my free motion foot to sew them on really close together in a maze-like pattern. Hop on over to Project Sewn to vote for your favorite graphic print design! 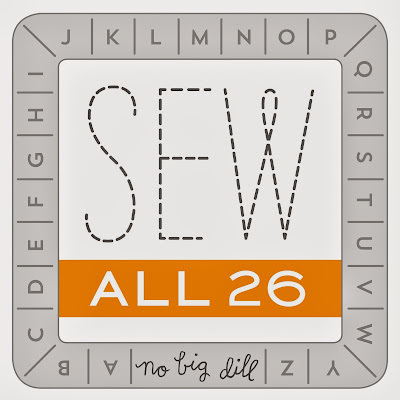 Also, keep adding your Sew All 26 projects!! They are fabulous, and I will feature some next week, so if you haven't linked up to the corresponding letter, make sure to add it soon. Thank you, sweet friend. YOU are pretty amazing yourself, plus you're always lifting others. Love that about you dear lady! Where did you purchase the octopus rubber stamp? Please let me know, thanks! I searched high and low for the perfect octopus stamp and finally found this one at www.dragonflylaser.com. They've got a lot of cool ones. Katy, you are divine. I mean, not Divine, but very much divine. 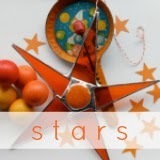 Gosh it's been awhile since I've visited your (or any) blog and I feel like I could just tuck in for an entire afternoon and delve into all of your spectacular creations! Your creativity doesn't ever disappoint. So many wonderful little details to appreciate. You are amazing! Likewise! I miss YOUR sewing. I think I might have to help remedy that...expect an email. Seriously, you are killing me softly with these wonderful and lush clothes! I adore that mustard yellow! must vote for design of the year. I think that's the best part of this. I sew for myself so infrequently, that it will be a nice surprise to go into my closet and find new things to wear! You are amazing and so inspiring! It is so fun to see what you create. Please don't stop. Oh my gosh - your owl photos are hilarious! :) Thanks for the laugh. Love the outfit. You've done it again! So gorgeous. I love your style--classic and funky and totally arty. And it cracks me up when you say, "I just..." As if it's easy! Beautiful job. Well, YOU know what I'm talking about, right? Thanks, Anneliese. 1. Thank you for your feedback. I do like to hear both sides of a critique because we need someone to help keep us in check. So, I appreciate you sharing your thoughts. 2. I considered placing the ruffles in the back (I've been criticized before for always having my best design elements in the back where they are less seen, so...) but wanted something unexpected. The bustle would have been great, and this skirt actually can be worn either way (or even on the side!) 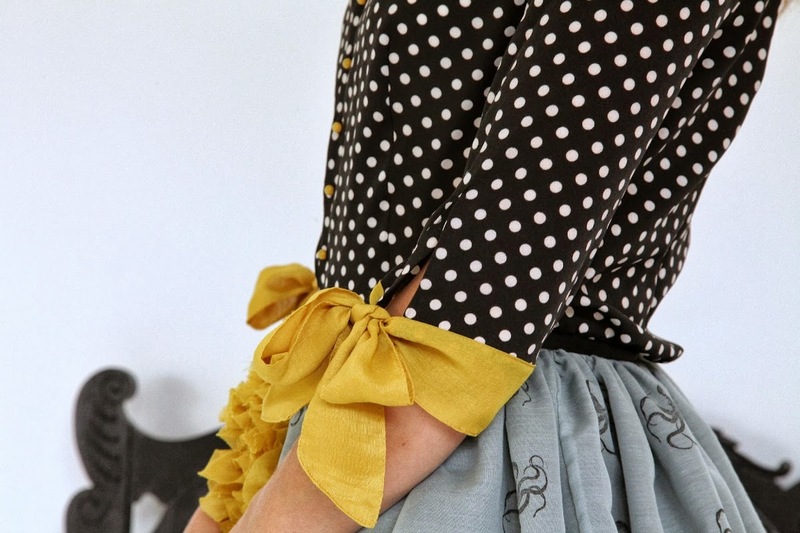 since it's just a gathered skirt with an even hemline, but I liked the surprise of doing it somewhere unexpected to make one stop for a moment longer to look. My, lady, you can really design! I have grown to appreciate that more and more as I read your blog. I can sew, but I have a long ways to go to designing such as this! What a lovely compliment, thank you! I have a silly question for you. 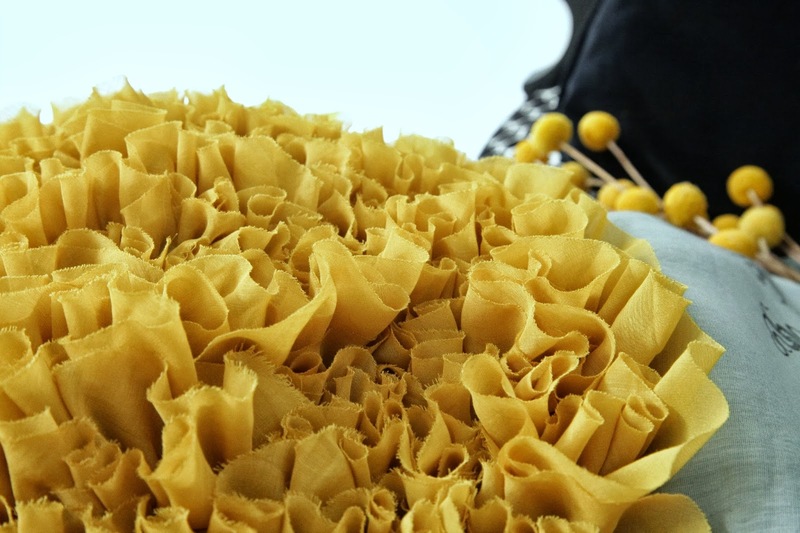 What kind of flowers are those yellow lovelies, and where can I find them? Thanks! They're called "craspedia" and sometimes my grocery store has them! You are so awesome. Love those little owls that came to visit! If we were neighbors I would totally ask to borrow your clothes. This is lovely Katy! ohhhh! i absolutely adore that outfit! i would wear it to every special occasion! This outfit is SO amazing. I LOVE it. Especially how clever and classy it is. Lovely job! 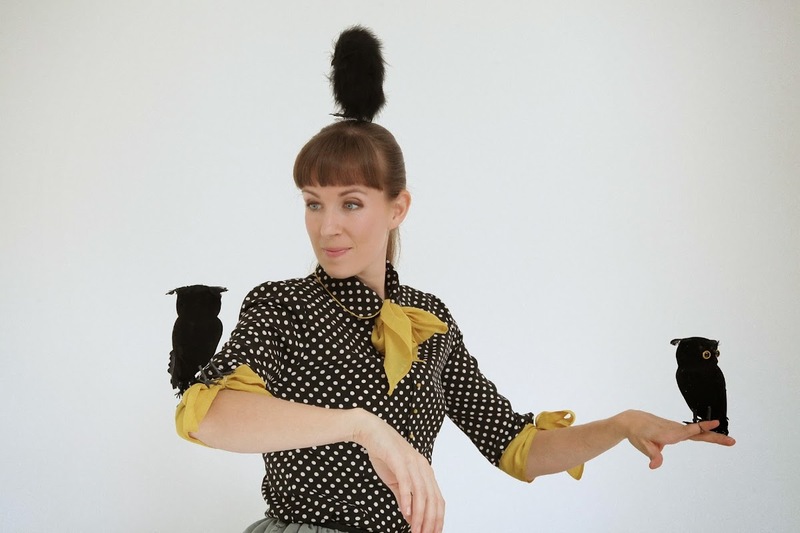 everytime I see you in your pretty outfit you remind me more and more of Mary Poppins. I love every single detail! Big hugs from Spain and keep going on.. I love reading your blog.